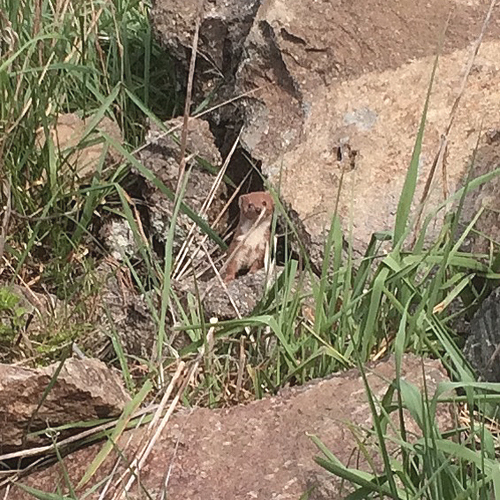 A stoat, well camouflaged amongst rocks. John Abel took this photo near the Bridle Path above Lyttelton, where he says he has started seeing them regularly. Photograph: by John Abel, October 2015. Licensed fro non-commercial use.